For those intending to apply for or renew a Firearms Certificate, for convenience, here are the latest FAC Application and FAC Application Notes (current at August 2014). More information on Firearms Licensing can be found on the Thames Valley Police site. Current Home Office guidance (April 2016) can be found in the Guidance on Firearms Licensing Law. Bisley is just over four miles from the J3 of the M3 and is shown on the following map. 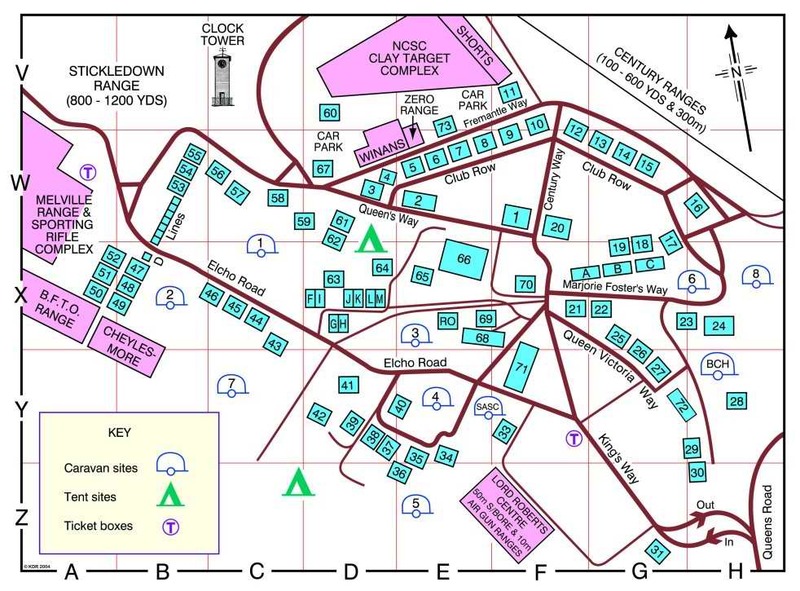 Once you find your way to Bisley, here is a map of the camp itself.